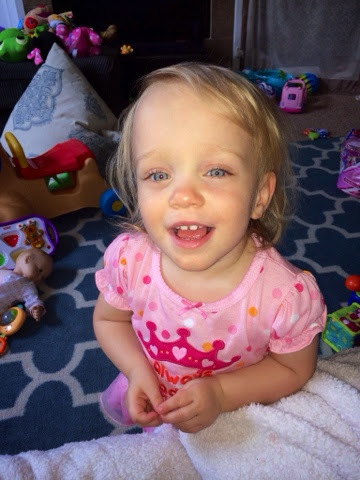 Briella's Journey: Briella is 20 Months! I thought I'd write just an all around update on Briella. On June 4th she turned 20 months. She should only be 16 months old if she was born on her due date. 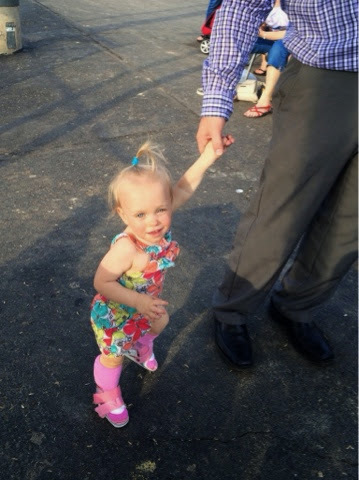 Briella is walking much better these days with the help of some cool new shoes called DAFO's. They are braces that go to just under the knee. They help her right leg have a nice long stretch, as that hip is pretty tight and she is much shorter on the right side. It will hopefully also help with her knees being hyperextended. 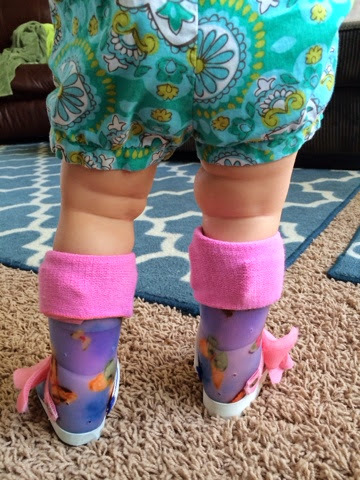 The main reason she is wearing them is because she needs to learn to walk heel first. She walks on the ball of her feet. But the braces force her to walk heel then ball each step. Briella caught a virus and ended up with a two day hospital stay. She was spiking fevers to 105 & was refusing to drink. So she had a continuous iv until we could get her to drink enough to come home. Thankfully it never made it to the respiratory system or it wasn't a respiratory virus. 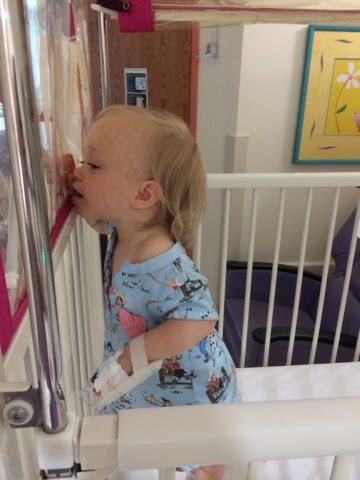 Briella has had a lot of firsts since we've been out of isolation. This summer is the time I will show my pretty baby why she fought so hard. I want to spoil her and Aubrey, so that we shall do. Briella still has the blondest hair and the most beautiful light blue eyes with a rim of dark blue all the way around them. She says "hi," "done," "dada," and she moos at every animal. She is starting to say meow for kitties but not every time yet. She signs "more." I'm so proud of how fantastic she is doing. She is a little delayed in speech but I could care less because she is HERE. She still receives occupational therapy weekly, physical therapy & speech therapy.